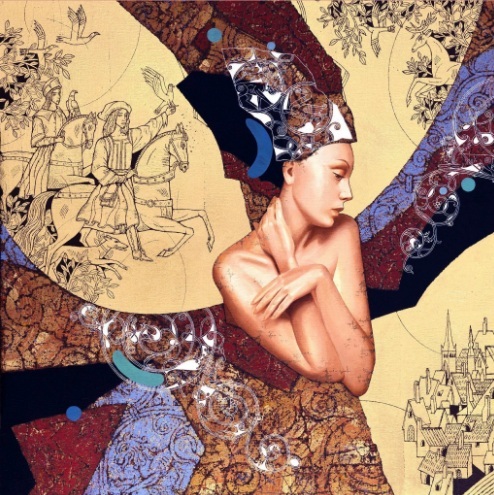 Sergey and Olga are the couple of artists working together under a pseudonym “KAMU Sergey & Olga” for more than 15 years. 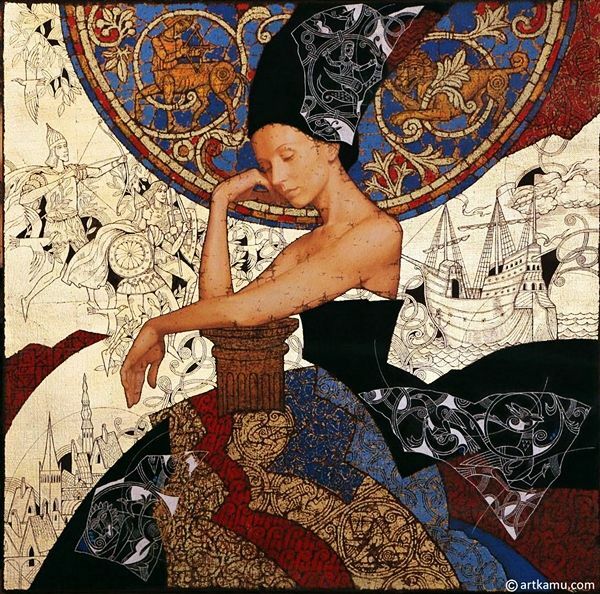 From 2003 they work and live in Normandy, France. 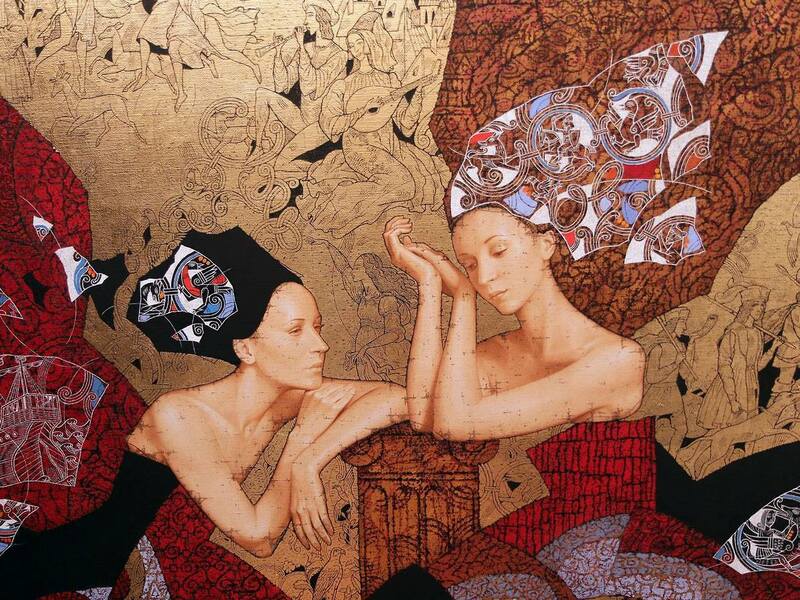 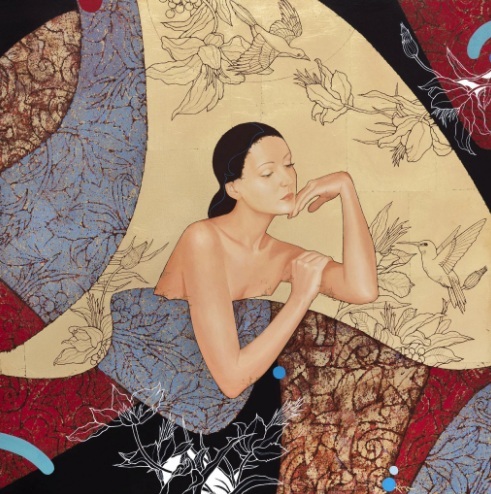 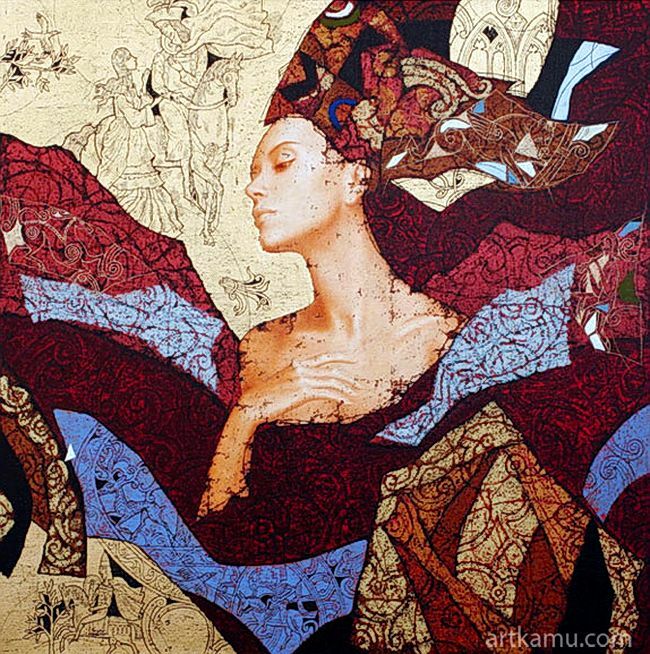 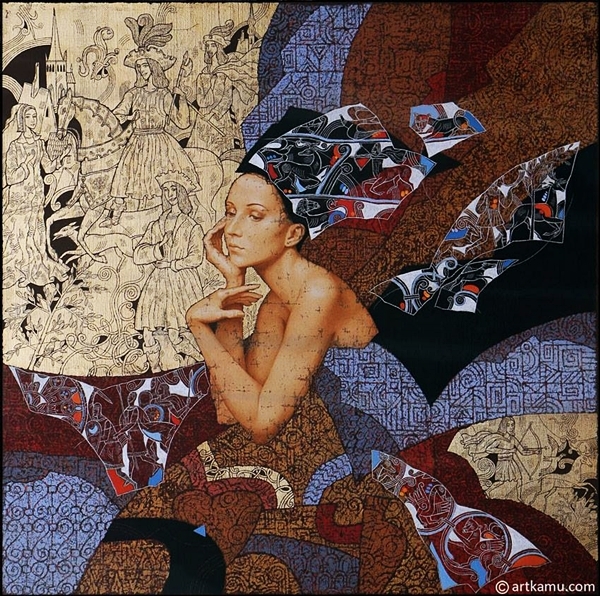 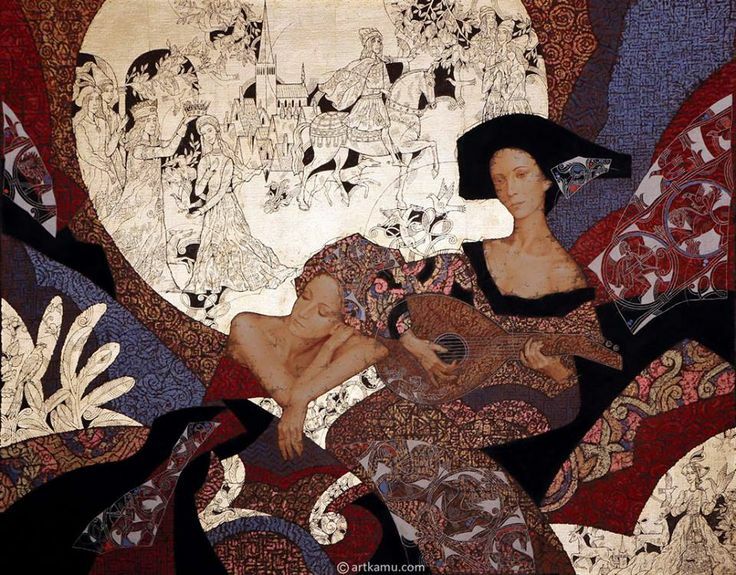 The artworks of KAMU giving us the image of beautiful and thoughtful woman. 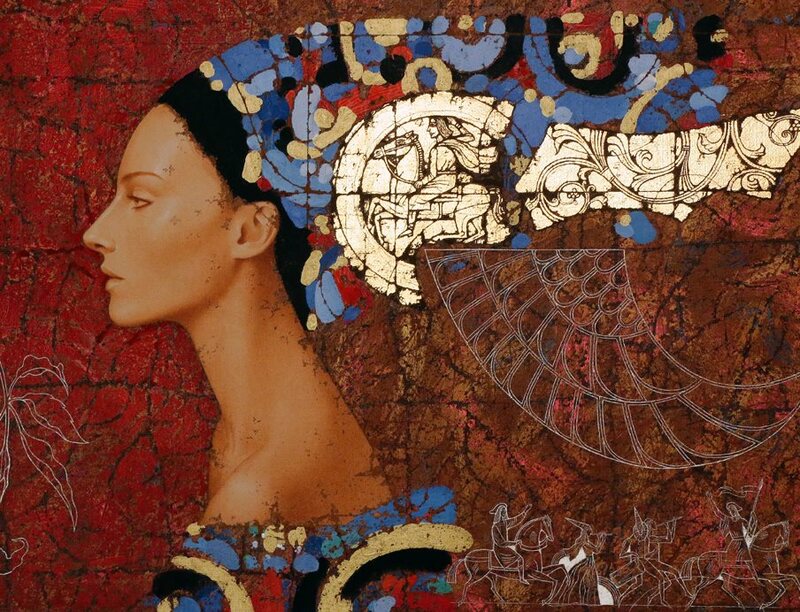 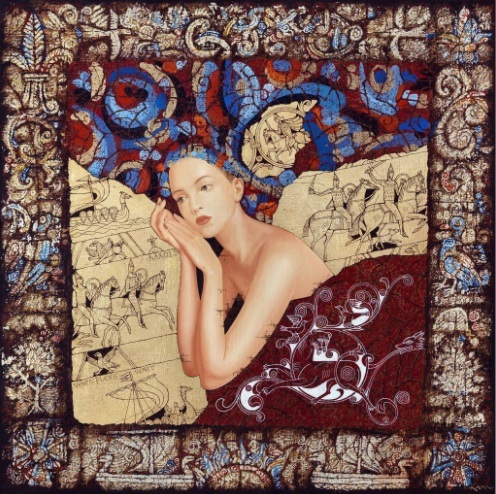 The feature of the technic of the artists is a unique technology of preparation of the canvas with the application of several layers of colors, wax, gold leafs and combinftion of acrylic and oil painting.